Hey - I actually made up my own recipe for a cake. I have never done that! This cake is inspired by my apple love of late but I didn't add any apples to it. Go figure. Jeff loved the cake and so did Aidan. In fact, Aidan ate it for breakfast 2 days in a row (bad mommy...). 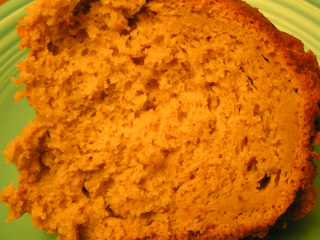 The cake is very moist with a nice apple spice flavor. Try it out and let me know how it is! I will update the post with some pictures on Thursday. Mix all ingredients together (I start with eggs and add ingredients one at a time). 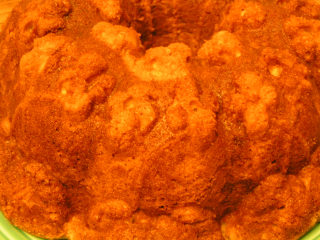 Butter your Bundt pan thoroughly. Coat buttered pan with cinnamon/sugar mixture. Add cake mix and bake for 40 minutes or until a toothpick inserted in the cake comes out clean. Do not over bake. What a great recipe! I really appreciate your sharing it--thanks!